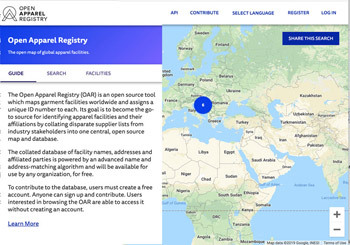 The Open Apparel Registry (OAR) has launched a free global map of apparel facilities by assigning unique number to each. The open source tool aims to become the go-to source for identifying all global apparel facilities and their affiliations by collating disparate supplier lists from industry stakeholders into one central, open source map and database. The collated database of facility names, addresses and affiliated parties is powered by an advanced name and address-matching algorithm and will be available for use by any organisation, for free. 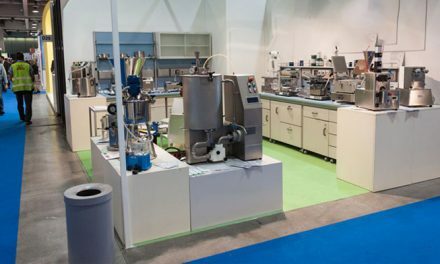 The registry will help understand affiliations of current and prospect facilities to identify opportunities for collaboration and find potential new suppliers listed with their affiliations. The OAR compiles data from multiple sources including large datasets from multistakeholder initiatives (MSIs), brand and retailer supplier lists, facilities and factory groups, service providers, government databases and more. The OAR is a neutral, non-profit organisation, with a multistakeholder Board of Directors representing civil society, the open data sector, factory groups, industry MSIs and brands. To further facilitate contribution and cross industry collaboration, several industry MSIs, including Amfori, Fair Factories Clearinghouse, SAC, SEDEX and ZDHC have formed an OAR working group to explore API integration. “As we launch the Open Apparel Registry, we look forward to seeing all the ways the industry will use the tool for its work. As part of its development, we’ve conducted an extensive stakeholder consultation exercise, gathering input and feedback from across the industry – from non-profits working on the ground in major sourcing countries and the factories themselves, to major global brands and the industry MSIs. Based on this input, we’re confident that we’ve built a tool that will be of practical use throughout the industry, enabling organisations to better understand their supply chains, collaborate on in-factory improvements and act as a source of truth on name and address information for global apparel facilities,” commenting on the launch, Project Director Natalie Grillon said. Azavea, the OAR technical provider, has led software development activities leading up to the launch. They are a certified B Corporation and have a two year grant from C&A Foundation to continue development and maintenance of the OAR. “Azavea is excited to work with C&A Foundation on the Open Apparel Registry. As a B Corporation, we seek out projects that have the potential for civic, social, and environmental impact, and the OAR project aligns with our mission. Further, our geospatial software experience will enable us to support the OAR’s goals of creating a standardized, open source global database and map of apparel facilities. We look forward to supporting a project that improves transparency and information sharing in the global supply chain,” Speaking on the launch, Robert Cheetham, President and CEO, said. “C&A Foundation is proud to support the launch and continued development of the Open Apparel Registry (OAR). This groundbreaking initiative is the first to share, free of charge, important industry data across brands, retailers, manufacturers, multi-stakeholder initiatives, and civil society. By doing so, the OAR accelerates collaboration within the apparel industry and contributes to a new paradigm of open data, which we believe is critical to making fashion a force for good,” sharing her views on the launch, Leslie Johnston, Executive Director at C&A Foundation, said. The OAR will offer a unique platform that helps to increase transparency in highly complex textile supply chains. By consolidating and mapping information from multiple sources, a high level of quality and comparability is achieved. Hugo Boss attaches great importance to such an approach. 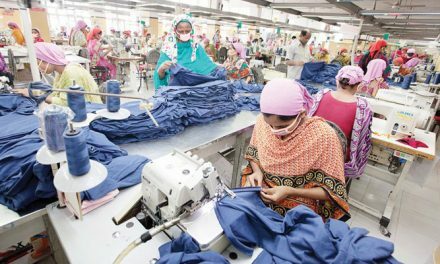 Only by joining forces from all industry players, we can achieve systematic sustainability improvements in the textile and fashion industry,” Andreas Streubig from Hugo Boss said.